In the globalization era in which we find ourselves, slavery and forced labour still have a main role in the world of work. Nevertheless, both kinds of work have their roots in the past, especially in the early modern period, when the empires of the Atlantic world promoted them in order to strengthen its economic and political power. The case of the Spanish monarchy is particularly illustrative because the absolutist state –through laws and legal practices– as well as its social and business elites encouraged the slave trade, the use of captive labour and use of forced workers in galleys, mines, prisons, arsenals and plantations. 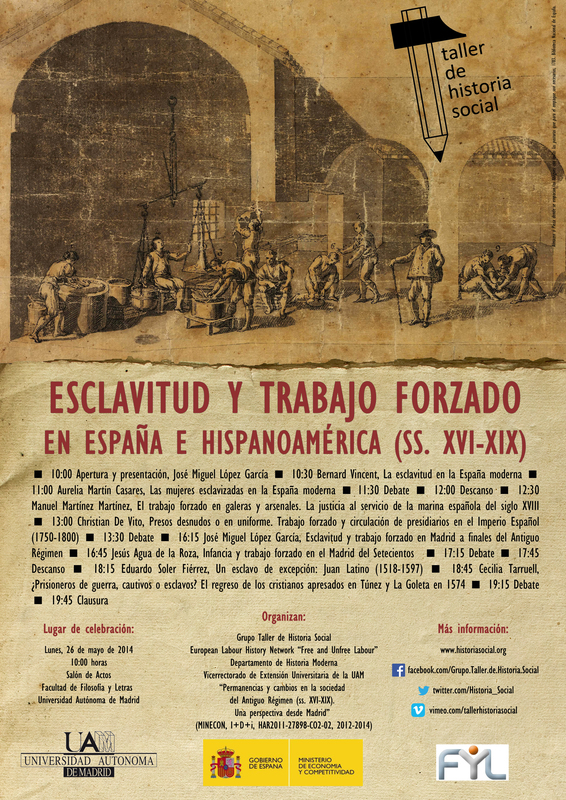 This seminar aims to bring together a cast of renowned specialists in the subject in order to explain the main characteristics of these working arrangements during the Old Regime and to clarify its validity until the present. 12:30 - Manuel Martínez Martínez, Doctor en Historia, CEIP San Luis de Almería: El trabajo forzado en galeras y arsenales. 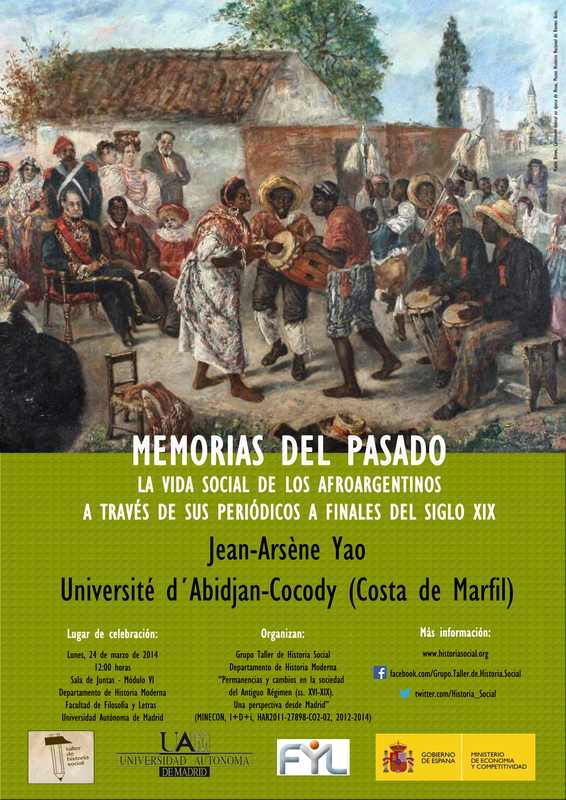 La justicia al servicio de la marina española del siglo XVIII. 16:45 - Jesús Agua de la Roza, Personal Docente e Investigador en Formación del Departamento de Historia Moderna, UAM: Infancia y trabajo forzado en el Madrid del Setecientos.